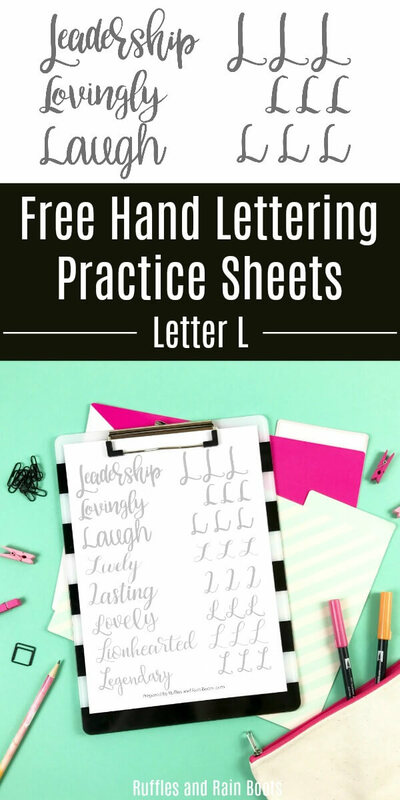 This set of free uppercase letter L hand lettering practice sheets will help you develop bounce, brush, and modern calligraphy styles. 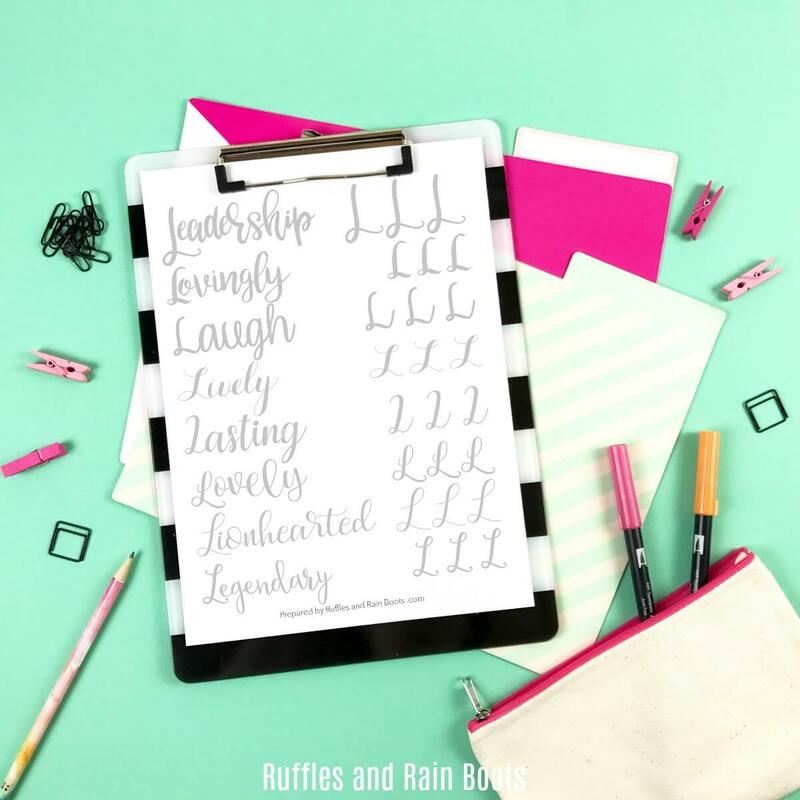 Here at Ruffles and Rain Boots, I love to share practice sheets I create to use in my modern calligraphy hobby. 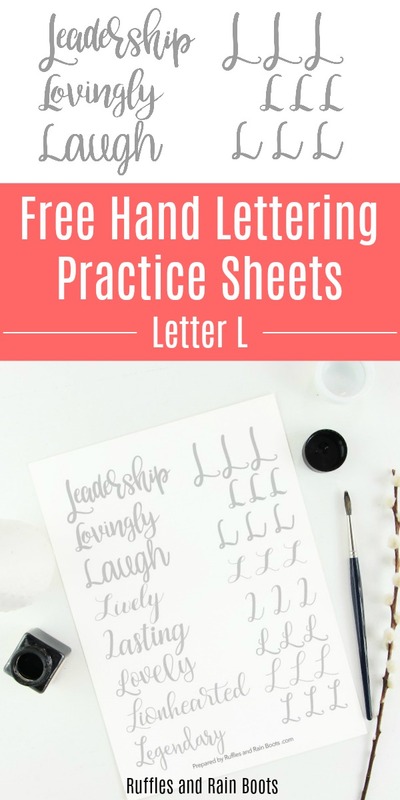 This week, I’m sharing one of the most fun letters to practice – I just cannot get enough of all the different ways to letter L.
I created a “LOVE” galaxy for my daughter’s lunch box in about 5 minutes with these amazing watercolor pens and got the idea while I was practicing this set. I used my daughter’s Ccrayola markers and the Econoline pastels – soooo pretty, though it does take some work to make sure I don’t press too hard! I even snuck in a few letters (my favorite ones to practice) using the Econoline brush pens (LOVE THEM). If you want to practice large practice sheets with small pens, be sure to move your entire arm. Making the conscious decision to move your arm will reduce shaky lines, I promise. 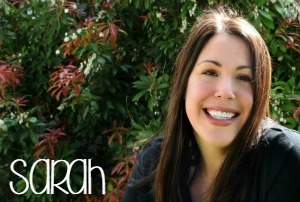 For a list of all the hand lettering supplies I use daily, check out my Amazon shop. 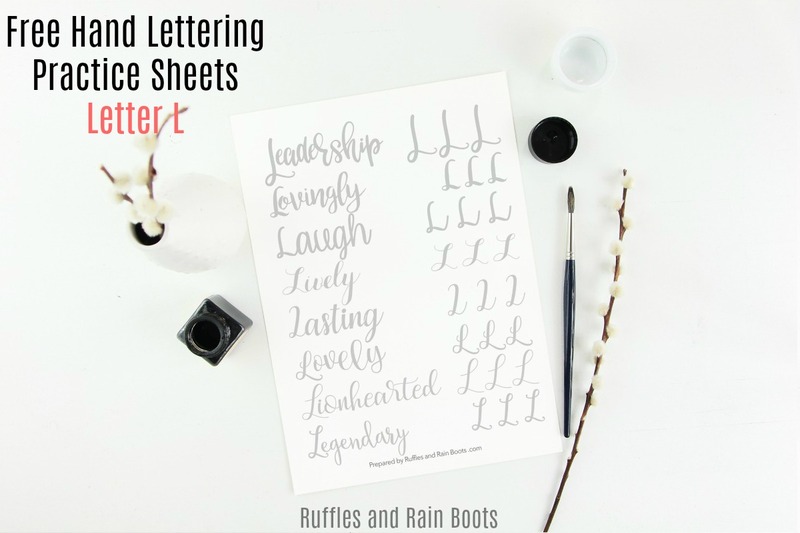 The complete hand lettering practice sets are in the Ruffles and Rain Boots Etsy shop. Uppercase and lowercase in ALL styles are included in these inexpensive sets. And if you sign up to the Ruffles and Rain Boots newsletter, you’ll get a coupon (included in every newsletter if you already receive it)! Tip for Hand Lettering Practice: print off two copies of your most-dreaded or worst-looking letter. It’s really helping me be more consistent with those letters I dislike or am just plain bad at lettering. Your shares are how this site grows and I sincerely grateful.